The Department of Mechanical Engineering, in partnership with Engineering-LAS Online Learning is introducing a new online graduate certificate in Energy Systems Engineering. In this 12 credit program, students take two core courses online and choose two electives from a variety of online courses. One of the challenges facing society in the 21st century is providing sustainable energy for a growing world population. Widely reported warnings have emphasized the need to develop new sources of energy, while at the same time preventing or reversing the degradation of the environment. Energy systems are pervasive, affecting nearly every aspect of society. The increasing complexity of these systems, along with increasing environmental constraints, requires practicing professionals in the field that have knowledge, skills and abilities specific to energy system design, evaluation, construction and management. 16 semester credits in physics, chemistry and engineering sciences. Minimum of 3.0 undergraduate grade-point average (GPA) – official documentation from previous studies that meets the requirements of the Graduate College. (4.0 scale). International (non-English speaking) students need to take the Test of English as a Foreign Language (TOEFL) or the International English Language Testing System (IELTS). Minimum scores for admission are: paper based TOEFL – 550; internet TOEFL – 80; or IELTS – 6.5. 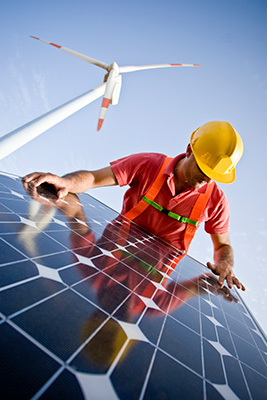 The Energy Systems Engineering Graduate Certificate consists of a minimum of 12 approved graduate credits. Students must maintain a grade average of B or higher in all coursework. Two elective courses selected from a number of courses offered by different departments at ISU. Other on-campus courses can also be used to fulfill the electives requirement. Some of the courses are offered once per year, others once every two years. Completion of introductory courses may be required for no credit of students who are deficient in the respective course prerequisites. Credits gained could count towards a subsequent master’s degree.